After losing their first 17 games to start the season, the Flint Firebirds picked up their first and second wins in back-to-back games. Just days after beating Sarnia 7-4, the Firebirds were able to top the Western Conference leading Sault Ste. Marie Greyhounds Friday night. The Ottawa 67’s (17-3-2) loss for just the second time in their last 16 games, but both those losses have come in overtime. They are now have a 12 point lead in the Eastern Conference, and the entire OHL. 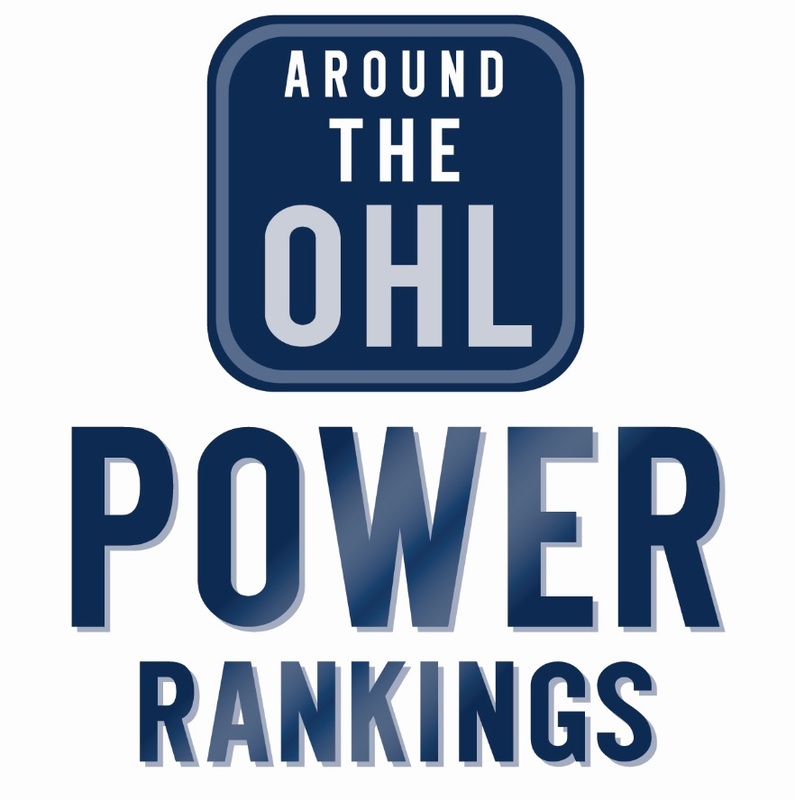 They also topped last week’s edition of the AOHL Power Rankings. We see it all the time in baseball, a closing pitcher sits in the bullpen until he is called upon to finish out a game. Well, we saw something along those lines in Guelph. In overtime against Windsor Saturday, a penalty shot was given to the Spitfires and goalie Anthony Popovich had an equipment issue. Cue backup goalie Nico Daws, who came off the bench to face Windsor’s Cody Morgan with the game on the line. Daws made the big save, and the Storm stayed in it. Popovich returned following the penalty shot and the Storm ended up losing in a shootout, but talk about being thrown into the fire when it mattered most. Commissioner David Branch and the OHL’s Board of Governors penned a letter to the Ontario Government, asking them to classify OHLers as “amateur athletes.” This as the league defends itself against the $180-million class-action lawsuit launched against the Canadian Hockey League four years ago. Just days after the letter was released publicly, the OHL recevied a response from the province’s Minister of Tourism, Culture and Sport Michael Tibollo. The Sault Ste. Marie Greyhounds are hoping they wont be without starter Matthew Villalta for long. The Los Angeles Kings prospect was hurt during warm ups on Novemeber 4th, when the skate from linesman Marcus Policicchio caught him on the leg while he was stretching. Reports say the cut is to the back of his right leg, but didn’t effect the Achilles Tendon. In the meantime, the Greyhounds brought in Mario Peccia to help with the workload. Peccia spent the last two seasons in Oshawa and Kingston. Jason Robertson has been the big story in Kingston this season, and has 22 goals in 22 games. In those 22 games, he’s scored a hat trick on four occasion. The Fronts’ have won three of those four games where Robertson picked up the trick, half of the teams’ win totals so far this season. Prior to this year, the Dallas Stars prospect had four hat-tricks in 190 OHL games. Few teams honour veterans like the Kitchener Rangers do. That was on display again this weekend as the rangers donned commemorative jersey for Remembrance Day. Here’s a look back on some of Kitchener’s Remembrance Day jerseys in the past, what’s your favourite? On this episode we’ll hear from Alex Formenton and Evan Bouchard from the London Knights, as the pair make their return to the OHL. Hosts Jake Jeffrey and Mike Stubbs look back at the 2015 OHL Priority Selection, where Bouchard was taken 17th overall, and Formenton wasn’t selected until the 11th round. Both players go a little bit early when Mike and Jake redraft the 2015 OHL Priority Selection. The guys also check in with Around the OHL reporter Victor Findlay about a letter sent from the OHL board of governors and commissioner David Branch to the Ontario government, asking it to declare OHL players as amateur athlete. Tags: Dallas Stars, Flint Firebirds, Kingston Frontenacs, Kitchener Rangers, Los Angeles Kings, Sault Ste. Marie Greyhounds. Bookmark the permalink.